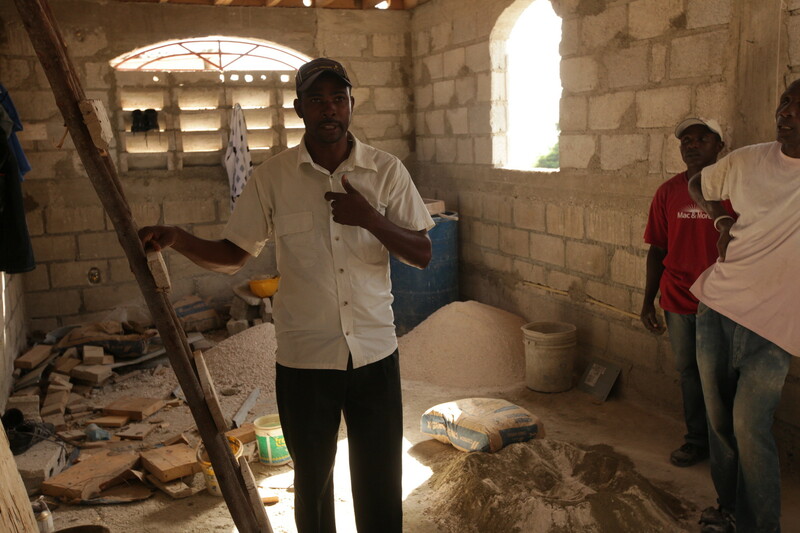 Arnel Telimont, who participated in an MCC-sponsored training for masons, points out earthquake resistant building techniques in Port au Prince, Haiti. January 12 marked five years since the infamous earthquake shook Port-au-Prince and rattled Haiti to its core. We pause to remember the victims of the earthquake and families who continue to rebuild, brick by brick. While much of the rubble has been cleared away, there are still many ongoing crises to address. Housing, water, sanitation and health infrastructure remain inadequate to meet the needs of people in the capital and across the countryside. Today more than 85,000 people still live in “temporary” shelters that have become an all too permanent fixture on the outskirts of Port-au-Prince. Criminal justice: Before leaving in December, Senator Sheldon Whitehouse (D-R.I.) and Senator Chuck Grassley (R-Iowa) reintroduced the Juvenile Justice Delinquency Prevention Act, signaling their intention to bring it up again in the new Congress. The Act has reduced juvenile incarceration for decades and now needs to be reauthorized. Iraq and Syria: In December Congress approved $720 million to train and equip Syrian opposition forces and $1.6 billion for forces in Iraq, a troubling and significant ramp-up of U.S. military involvement. Also before adjourning, the Senate Foreign Relations Committee narrowly approved use of military force against the so-called Islamic State, a debate that continues into the new Congress. Latin America: One of the last acts of Congress before the end of 2014 was to pass the omnibus that determines budgetary spending for the coming year. An additional $130 million was designated for Central America migration prevention and response. Some of this will go to economic and social development programs but much of it will be directed to security and militarization within the region. Assistance funds to the Colombian government retained important human rights conditions, a necessary accountability measure before funding will be released. January 23: Deadline for submitting essays for the annual MCC U.S. Washington Office high school essay contest. April 17-20: Plan now to attend the 2015 Ecumenical Advocacy Days national gathering in Washington D.C. The theme will be “Breaking the chains: Mass incarceration and systems of exploitation.” Register here. Immigration webinar on state and local advocacy on January 12. If you are not currently signed up to receive action alerts, sign up here. A warm welcome to Charles Kwuelum, our new Legislative Associate for International Affairs. Charles is a recent graduate of the Center for Justice and Peacebuilding at Eastern Mennonite University and will focus on U.S. policy related to Africa, global food/hunger and HIV/AIDS. On December 28-29, Rachelle Lyndaker Schlabach enjoyed attending the Brethren in Christ YouthQuest in Arlington, Va., where she led a workshop on Syria and Iraq.